About the Eastern Sioux and the Cuthead Yanktonai. The Sisseton-Wahpeton Band of Mississippi, or Eastern Sioux, and the Cuthead Yanktonai call the Spirit Lake Sioux Reservation home. The Siouan family lived in the lower Mississippi and Atlantic coast regions during the late 1500s and 1600s. Disease and warfare killed many in the Siouan family, but some managed to escape their Southeastern home. By the late 1700s, the Siouan Indians roamed the upper Mississippi region, from Minnesota to parts of Wisconsin. History of the Reservation: In the 1800s, the Eastern Sioux lived in Minnesota, a state on the path from the Eastern population centers to the gold-rich hills of the West. Miners headed for Montana during the Gold Rush of 1862 swept through Minnesota and pushed the Sisseton-Wahpeton Band into the Fort Totten (now North Dakota) area. 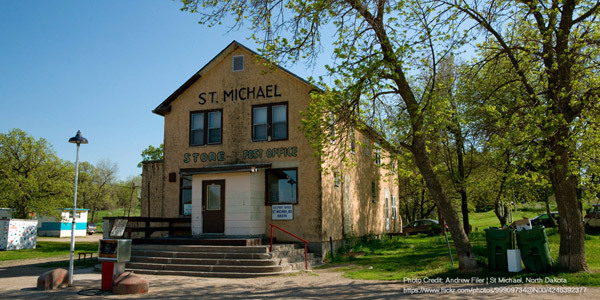 The Spirit Lake Sioux Reservation, once also known as Fort Totten, was established in 1867 with 732 residents. 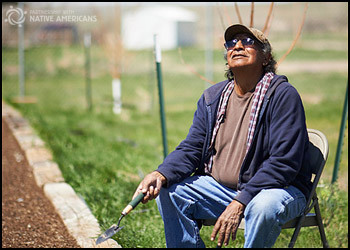 Life on the Reservation: When it was established, most of the Spirit Lake Sioux Reservation residents worked in agriculture. Now, in addition to agriculture, the Tribe has established two plants that manufacture non-violent armaments such as camouflage nets and helmets. The Tribe also operates the Spirit Lake Casino, which employs 240 people. Beyond the small-scale industry and casino, tribal and federal governments provide most jobs on the Reservation. Federal employees predominantly work for the Bureau of Indian Affairs and the Indian Health Service. In addition to courting industry, the Tribe has also chartered the state-accredited Little Hoop Community College in the town of Fort Totten. Concerned about retaining its culture and traditions, the Tribe hosts powwows, Native American Church meetings, and Sacred Pipe ceremonies. In an additional effort to preserve its heritage, the Tribe continues to speak the Dakota dialect.